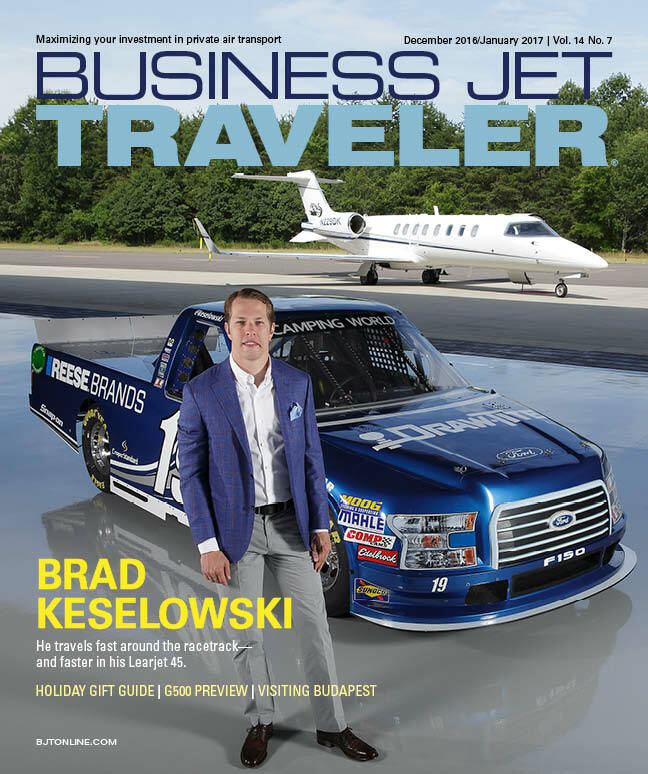 Published Bi-monthly, Business Jet Traveler is the number-one source of information written for executives and passengers of business aircraft. Complimentary subscriptions to BJT are available to corporate executives/passengers who rely on private air travel as a business tool. To qualify for a FREE subscription, click below to renew your FREE subscription, or to update your subscription. 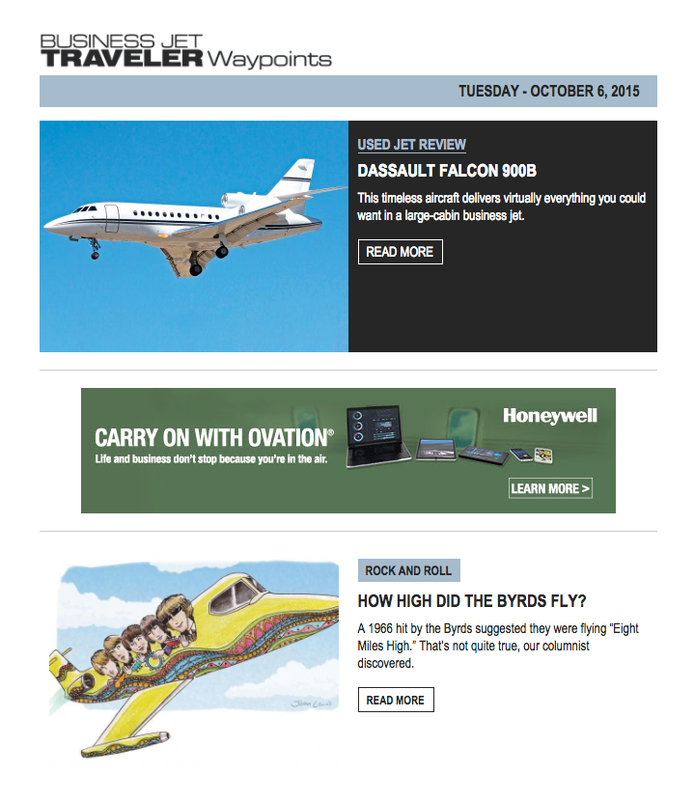 BJT Waypoints is a twice-weekly newsletter filled with crucial information for anyone who flies privately. It is distributed every Tuesday and Thursday.